The minor planet 4 Vesta is the 2nd largest asteroid. Ceres is the largest. In recent weeks it has made a turn in the sky and has been well-positioned for views in the evening sky. I got my first view of Vesta through 15x tripod-mounted binoculars in late July. Chart from Sky & Telescope. Our skies in Iowa have been cloudy and hazy since then. On 22 August, they were clear and offered good seeing. 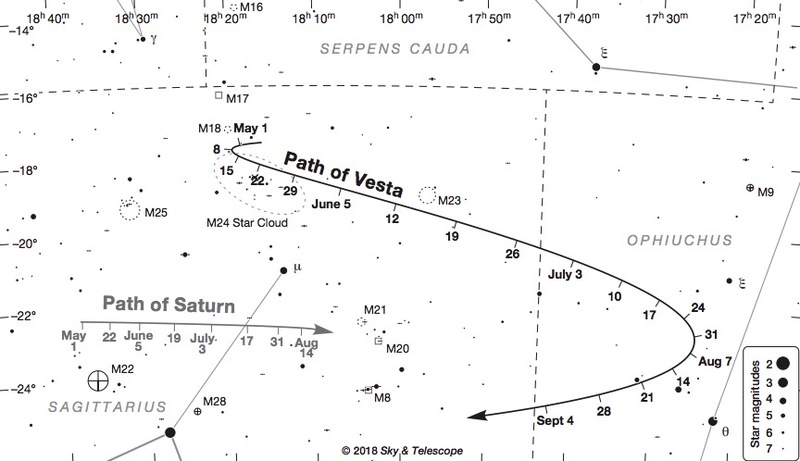 I set up the binoculars pointing south to try once more to see Vesta and was rewarded. Here is the desktop planetarium (Starry Night 7) view looking south at about 9 pm. Several familiar objects are labeled. Click to embiggen. I scored a first for me tonight. 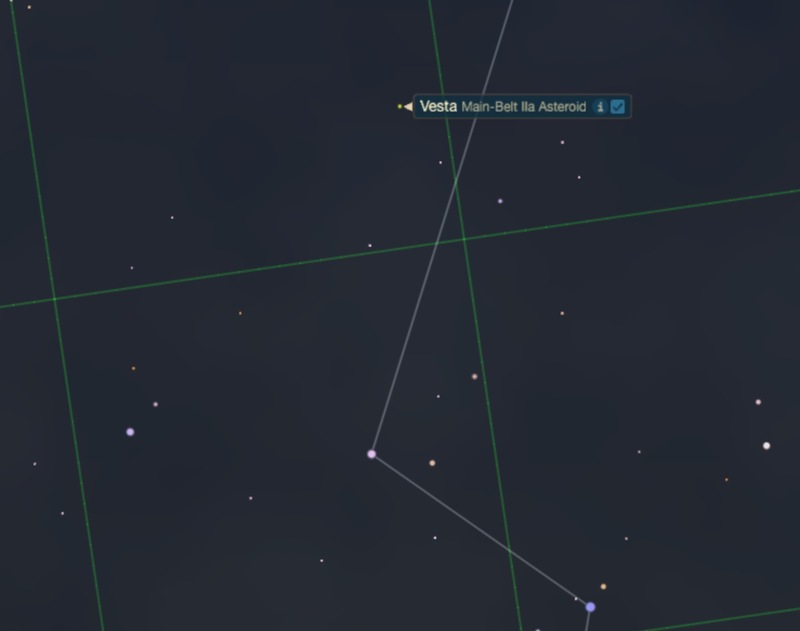 I set up my 15x binoculars on a tripod and did some star hopping with a map to locate 4 Vesta. Vesta is the second-largest body in the asteroid belt after the dwarf planet Ceres. It is currently directly west of Saturn about halfway to the star Antares. I had no way to photograph it using the binoculars. This screenshot of my astronomy program will have to do. 🔭 Updates an earlier post to include recent changes and new information. As an amateur astronomer, I use desktop planetarium software to plan viewing sessions and keep track of the planets and Moon. There are many products available for all computer platforms and smartphones. A Google search yields links to many sources. 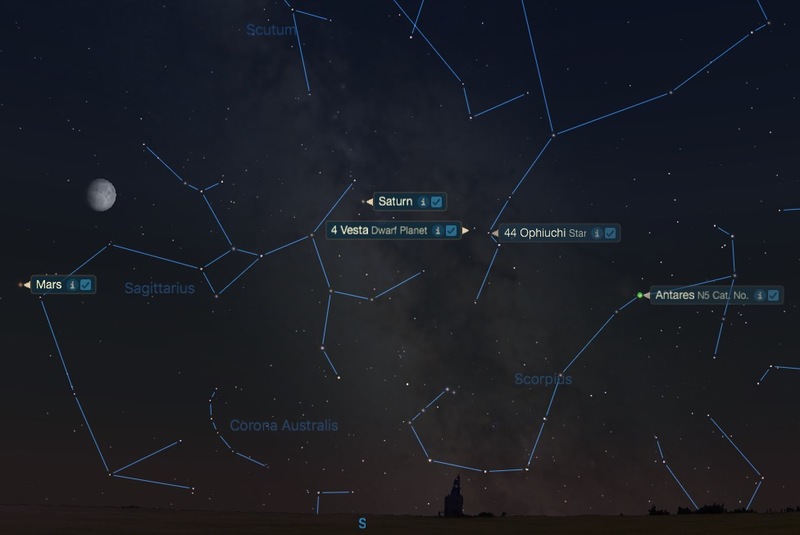 I downloaded and use the open source Stellarium on my desktop computer. It can be customized to your location and is free. For Android and Mac phones and tablets, I like SkySafari. It isn’t free but is inexpensive. 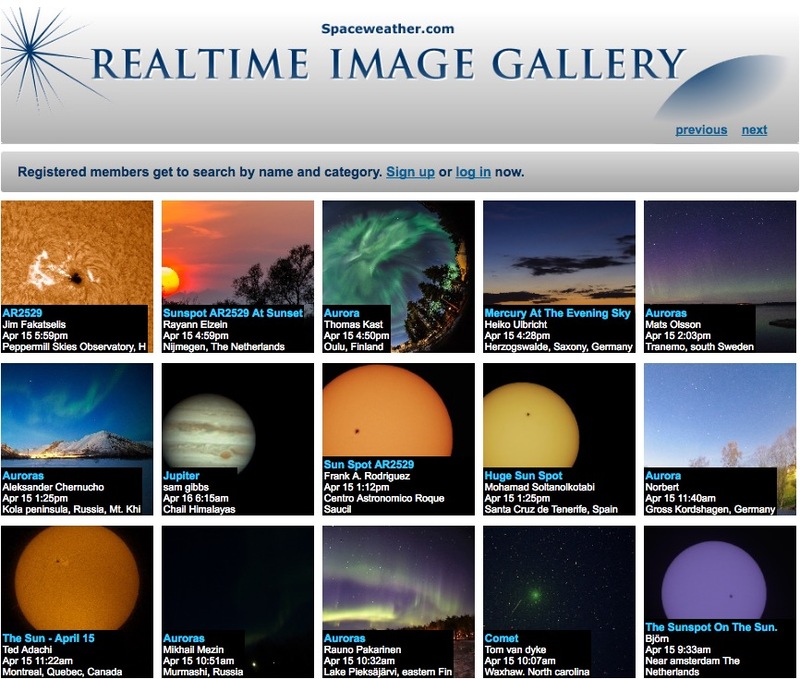 Online planetarium sites are popular and offer many features. Below are highlights of some I find interesting. Each has multiple features, a unique look and feel, and different levels of detail. They can help satisfy your curiosity about astronomical events. I have included only a few select sites and links since so many are available. I welcome reader questions or reviews about using these tools or others you find helpful. During 2017, the inner solar system has been joined by several comets. Most are not bright enough for the casual observer to see. 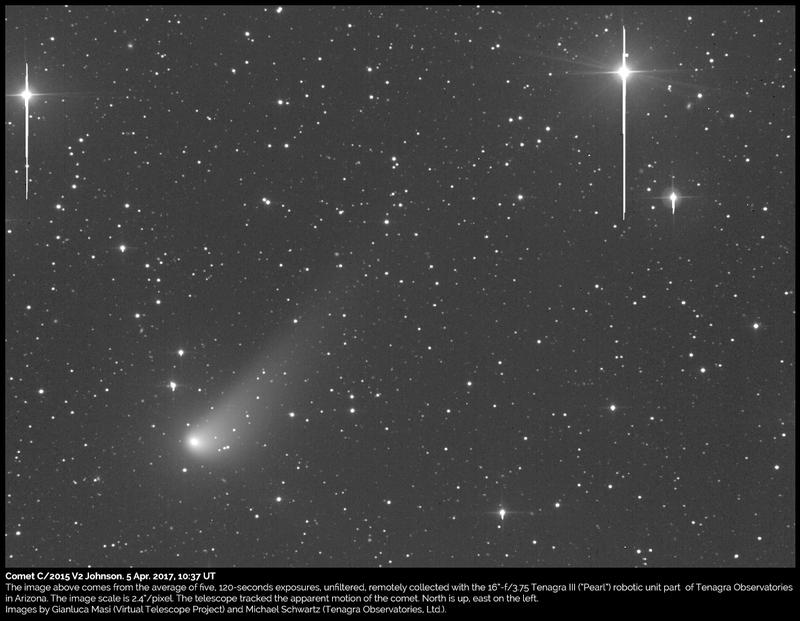 Those with dark skies and large enough telescopes have enjoyed one of these visitors, comet C/2015 V2 (Johnson). The discovery was by Jess Johnson in late November of 2015. Comet naming is systematic. The letter C means it is a one time visitor. A letter P would be used if the comet returned periodically such as Halley. Discoveries are denoted by the half-month in which they occur. The first comet found in the first half of January would have A1 at the end of the label. If another was found in the first half of January it would be A2, etc. The fourth one found in the second half of February would be labeled with D4. 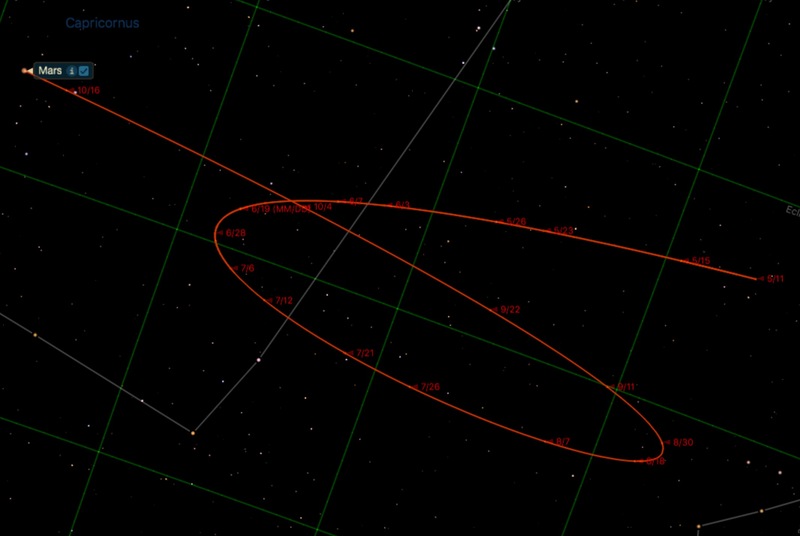 The V2 for Comet Johnson means it was the second comet discovered in the second half of November. The eleventh month means the 21st and 22nd letters of the alphabet (U and V) are used for those half-months. One of the better images of C/2015 V2 is from Tenagra Observatories in Arizona. Details of their observation is at this link. Click to embiggen. I was curious what the orbit looked like. I found a web site by Dominic Ford called In-The-Sky. His simulation showed the orbits of the inner planets and the comet which could be rotated and viewed from different perspectives. Here is a short screen video capture from his site. The video shows the comet on 30 May 2017. 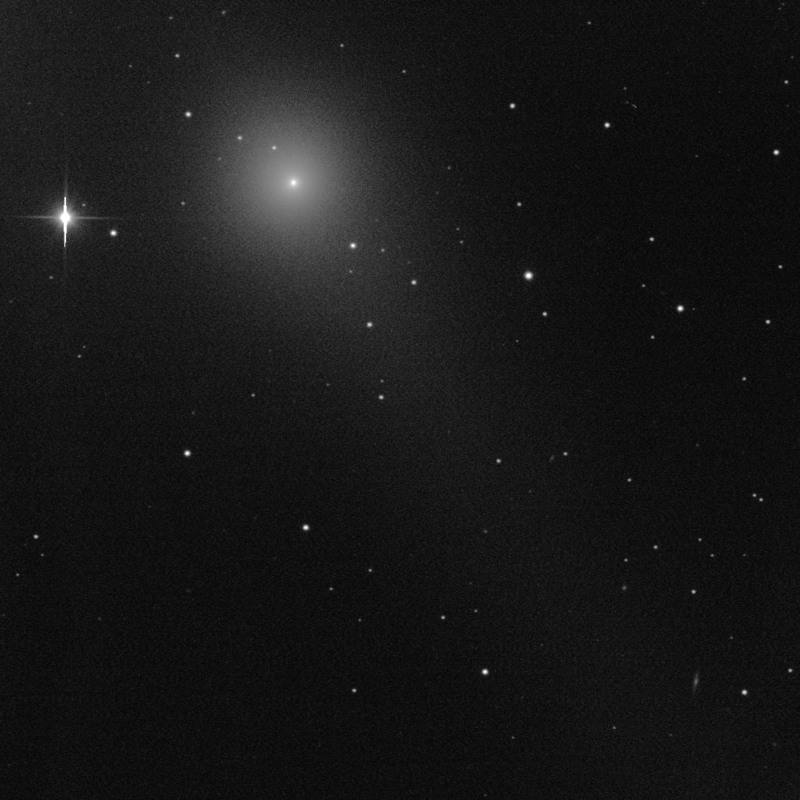 I requested an image of Comet Johnson from the University of Iowa Gemini robotic telescope in Sonoita, Arizona. It was taken at 12:42 am CDT the morning of 30 May. The 60 sec exposure in visible light showed the halo and faint tail. Click to embiggen. Saturn’s north pole features a hexagon shaped pattern in the clouds driven by fast winds that wrap the planet. The hexagon is about as wide as 2 Earths. This image taken by Cassini on 2 Apr 2014 is in greyscale. On 26 Apr 2017, Cassini passed over this same hexagon region but at a much lower altitude. This pass was the first of 22 during the coming months in the Grand Finale of the mission. It will enter the cloud tops 15 Sep 2017 to end the 20 year mission at Saturn. As Cassini made this recent close pass, it imaged the hexagon in greyscale 3 time with filters of red, green, and blue. Using Photoshop, I combined these RGB greyscale images into one with color. The colors are not necessarily what the eye would see. They are my choices in order to enhance differences in regions and appearance. The large blue object at the bottom is like the eye of a hurricane on Earth, but much larger. The hexagon pattern can be produced in a laboratory evidenced in this post.